Air is cooler, trees are thinner, and hiring signs are in every window—the holiday season is here. Furthermore, the unemployment rate is at an all-time low, and consumer spending is at a high. So where does that leave retail? Retailers need to hire seasonal staff to keep up with the holiday crowds, but fewer people are looking for these positions than they were in previous years. Many stores have already announced interest in hiring more supplemental holiday staff this year than they have in previous years, but competition for hiring these workers is high and will cause many stores to face staffing shortages. As of July 2018, around 750,000 retail jobs were open across the nation, which is about 100,000 more than were open at the same time in 2017. 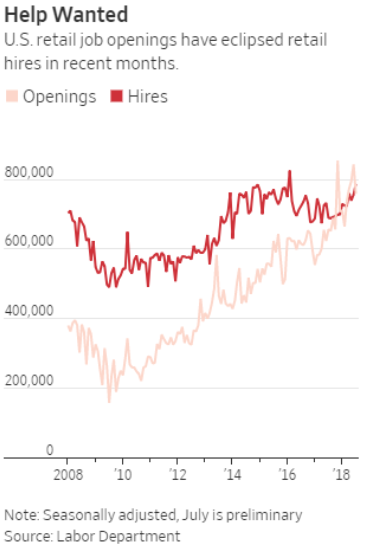 Companies like Kohl’s Corp. and J.C. Penney Co. started hiring seasonal workers three months earlier than they did in previous years to prepare as well as offering major incentives to retain employees such as more paid time off. 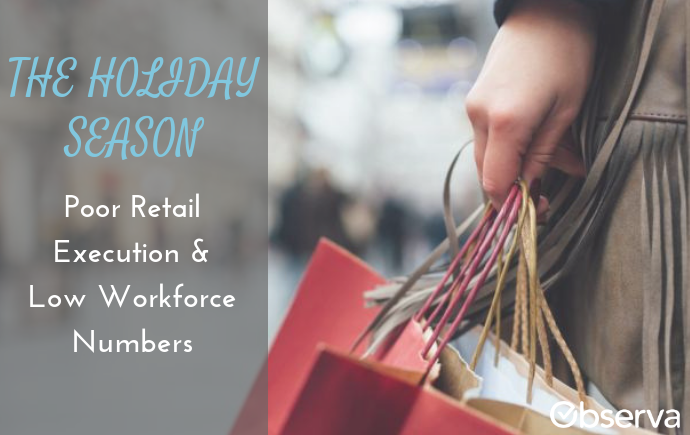 Many seasonal workers work in retail as a side gig, so why not make it even more fun for them by offering discounts on products or early entry for their friends and family? Low staff is bad news all around; stores, brands, and consumers all suffer the consequences. Consumers won’t be able to find staff members in stores to help them locate items, lines will be longer, and popular products might not get restocked in time to meet demand. CPG brands might see lower execution for stocking, displays, and trade-promotion materials. Sales can suffer tremendously, too; retailers face a loss of customers and lower sales when items are more difficult to locate on the shelves. Rogelia Oliva, a professor and lead researcher at Massachusetts Institute of Technology Sloan School of Management, found that optimum staffing levels increased sales performance by 10 percent in the retail stores she studied. Those incremental sales outweighed the added labor cost. Hiring additional staff is extremely important for retailers, but if it is not an option this holiday season, brands need to ensure that their in-store execution does not suffer. To do this, they must utilize outside staff such as their own salespeople or hire an additional workforce. Creative options also might help, too, such as creating comfortable waiting areas with couches and free coffee. Finding issues with execution early in the holiday season and following up on these issues throughout the season can have massive impacts on sales numbers. A product that is void or out of stock early in the season destroys any chance at potential sales for the rest of the season. It is unrealistic for a sales team to check every product in every single store, and the process of checking inventory on a product or display, however simple, is a timely task for trained employees to waste their time doing. Observa uses a national network of Observers to check in-store execution and reach the places your salespeople might not be able to reach. The real-time collection of these data can catch the mistakes of retailers that are low staffed, allowing your sales team to spend more time fixing these issues.